There’s something to be said about the insight one can gain from looking a little deeper in your food choice du jour. I mean, we all know what a gin and tonic says about a person (they’re complete psychos). So, we decided put on our research hats and get to the bottom of just what your food choices say about you. 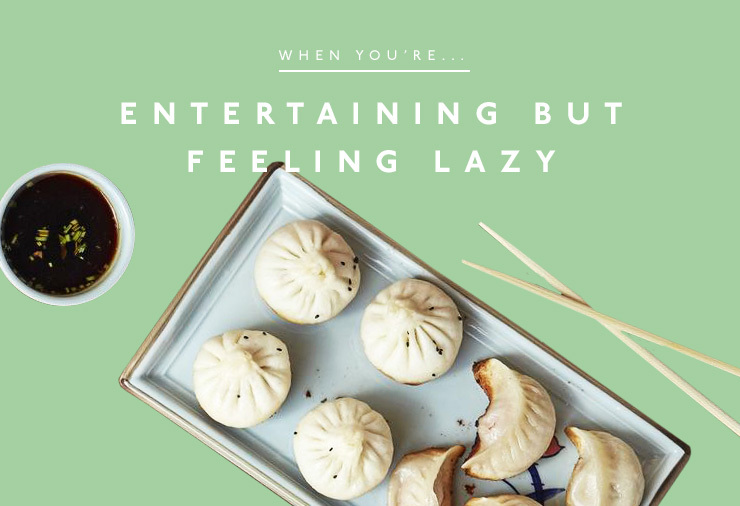 We’ve teamed up with delivery food Gods foodora to bring you these very insightful tid-bits about just what your food delivery choices say about you. 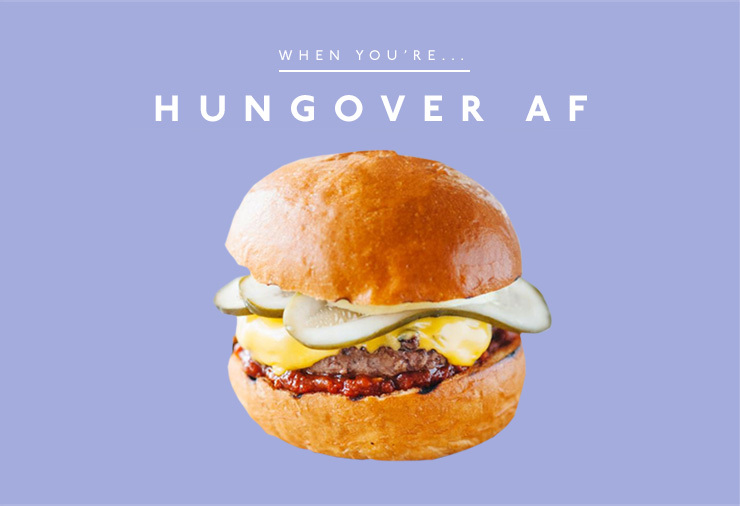 If you’re hungover and you’re hungry (which is pretty much a guarantee), the only thing that can fix your sitch is reaching for the greasy foods. Obviously, these calories don’t count as they’re purely medicinal. Brisbanites, you’re going to want to sit back in bed with Gilmore Girls on the screen and summon yourself some delicious Chur Burger via foodora. If you’re in Sydney, it’s obviously got to be BL Burgers because how could you choose anything else? Melbourne-based morning-afters just aren’t complete without Brother Burger. What does this choice say about you? It says you’re damn smart. Why? Because a burger is the only possible solution to a hangover. Good on you, you little legend. When you’re having a girls’ night, obviously you want to reach for the lollies—but if there’s anyone who’s going to keep your summer body on track, it’s your GFs. So, Asian takeaway it is! Served with a hefty side of wine, gossip, and love life chat, there’s really no other choice of tucker. Save valuable gal-pal time with that food delivery game. Brisbane babes ought to keep things delicious with Vietnam House (pho, anyone?) while Melbournians just have to opt for Sushi Izakaya Chuji because gals night and sushi is THE perfect match. If you’re in Sydney and you want to have a girls night at Mamak, but sweat pants and Netlifx are calling your name, then foodora will save the day. We’ve all been there: you’re four days into the week and just as many burgers / takeaways deep so you tell yourself it’s time to clean things up and get back on that health wagon. We hear you. 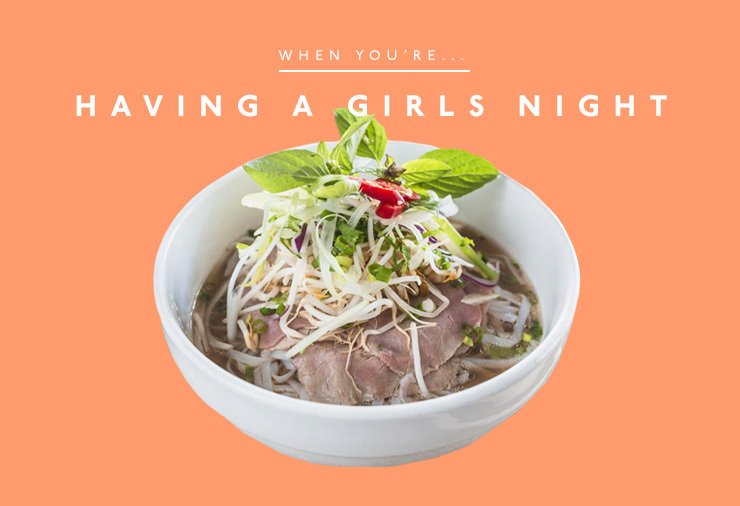 Hide your post-binge shame at home with foodora and check out Madame Nhu if you’re in Sydney or Nhan Ngai if you’re in Melbourne. 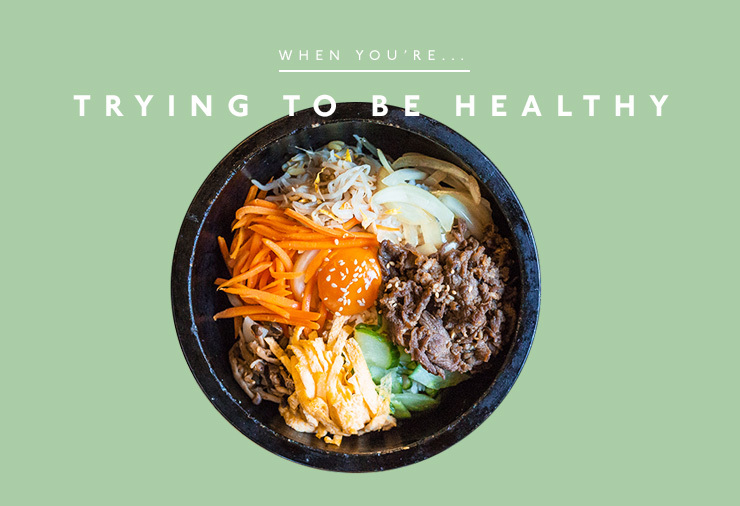 Brisbanites, you just have to try Maru because Korean food = totally healthy. Good one guys. 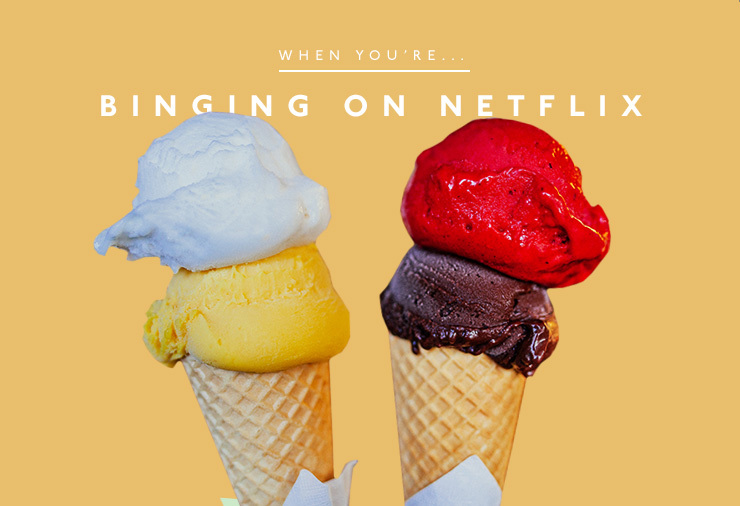 Binging on Netflix calls for binging on food just as juicy as that latest series you’re watching. Sydneysiders and Melbournians this is obviously an occasion for Gelato Messina delivered (you lucky bastards…) —that much goes without being said. But Brisbane, this one is a little trickier; we suggest opting for a loaded frozen yogurt from Nominom to hit the spot. Obviously, you need all of the sides. Peanut butter cups, anyone? If you’re choosing to binge on healthy snacks while watching Netflix, what are you doing?! 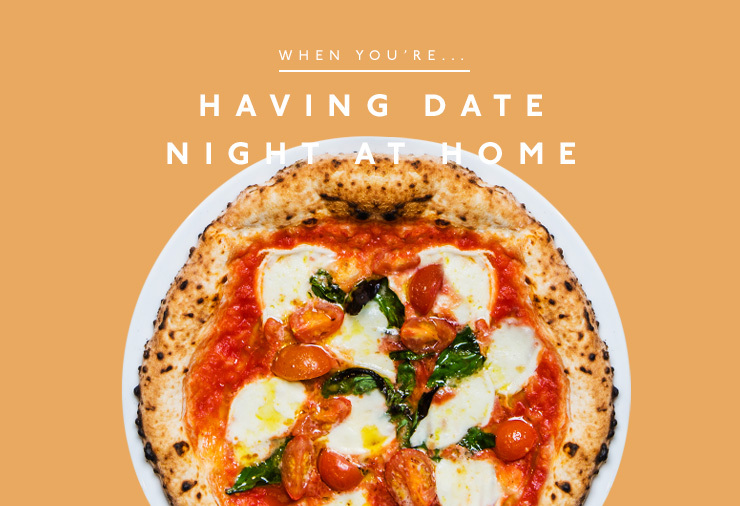 If you’ve managed to lock in a date night at home, we salute you! Who has time for all that dressing up and actually going to the venue—not us, that’s for sure! foodora, we love you. New Shanghai’s epic selection of dumplings is the perfect option for Melbourne-based date nights, while pizza from Lucio’s Pizzeria is the essential ingredient for a perfect date night at home in Sydney. Gyoza reign supreme again in Brisbane with Harajuku Gyoza; a must for anyone looking for date night bites to eat. Entertaining always feels like such a good idea. Until your door bell rings and you realise you’re totally unprepared and the only thing in your cupboard is a stale pack of Jatz. Enter: foodora. If you’re a party person in Melbourne, you need to pick up your phone and order a whole heap of Kumo Izakaya for your squad (gyoza? Yes please). Brisbanites, the only way to keep your party popping is with all of the Brazillian meat from Navala Churrascaria. Sydney-siders get your chop sticks out and get clicking on Din Tai Fung’s menu because they’re about to save the day! 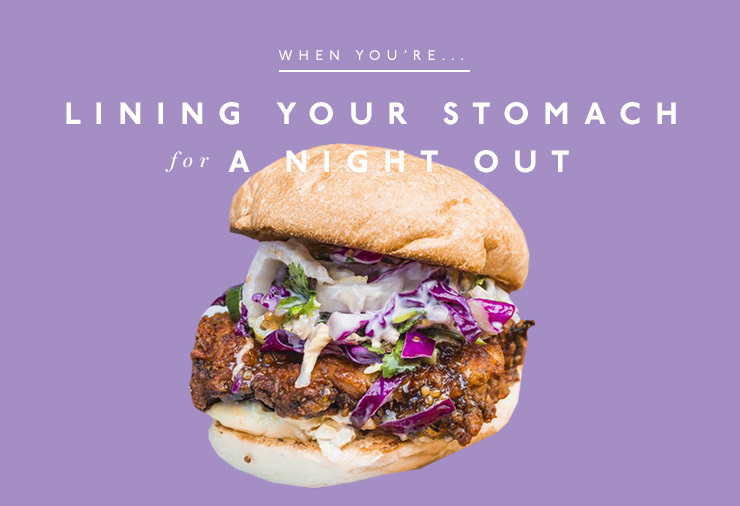 Rule number one of a night out is to line your stomach—we don’t need any embarrassing moments around here. Or regrettable snap chats... So get to work with Mr Crackles slow cooked pork in Sydney or, the soulful tastes of I Carusi’s pizza and all of the garlic bread in Melbourne. Brisbane locals, it would be a crime not to opt for the fried chicken goodness of Lucky Egg. We won’t judge if you end your night with Lucky Egg, too. To order all of this deliciousness, be sure to check out foodora’s website. Plus, to score $10 off your first order make sure you enter your email below! Terms & Conditions: To redeem this prize you must be a first time user of foodora. This prize is not redeemable for cash. Entrants will have their emails added to foodora and The Urban List database. This article is sponsored by foodora and endorsed by The Urban List. To read our editorial policy please click here.